Buyer and seller of Modern Library books, Old Farmer's Almanacs, and books by P. G. Wodehouse. Assorted other books for sale as well. Both my scribblemonger/bisibat and eBay usernames are rjh87. You can view my positive rating there, and I have linked these two accounts by indicating my scribblemonger/bisibat username on my ebay page. 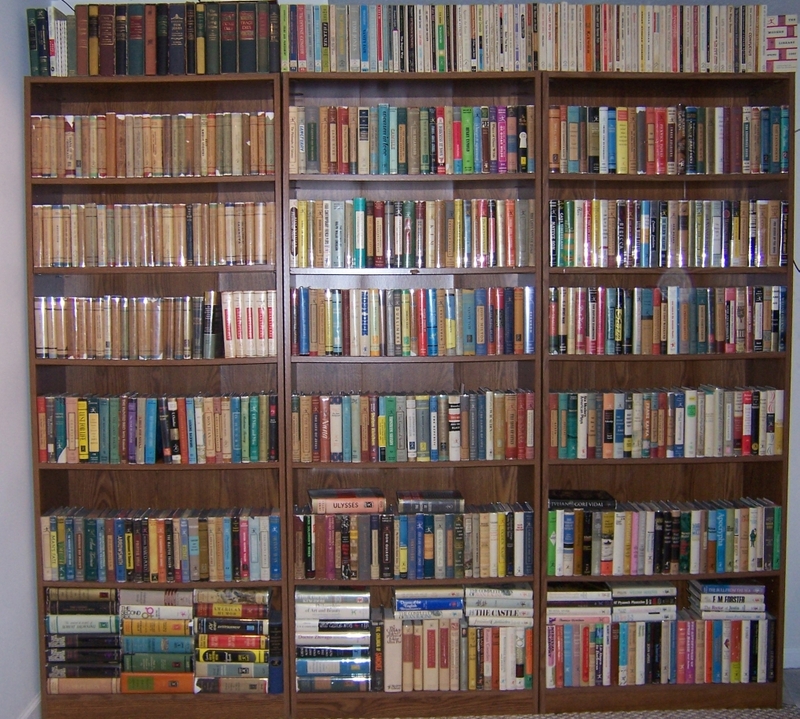 Image below is my Modern Library collection (over 600 items). The shelves are full, and I had to resort to stuffing them in at the bottom. I'm currently reading The Mrs. Dallloway (Virginia Woolf, ML #96) and The Adventures of Sally by P. G. Wodehouse.